Kinda cool watching this storm on the radar. We seem to be protected from the brunt of it by the Ohio River Valley. 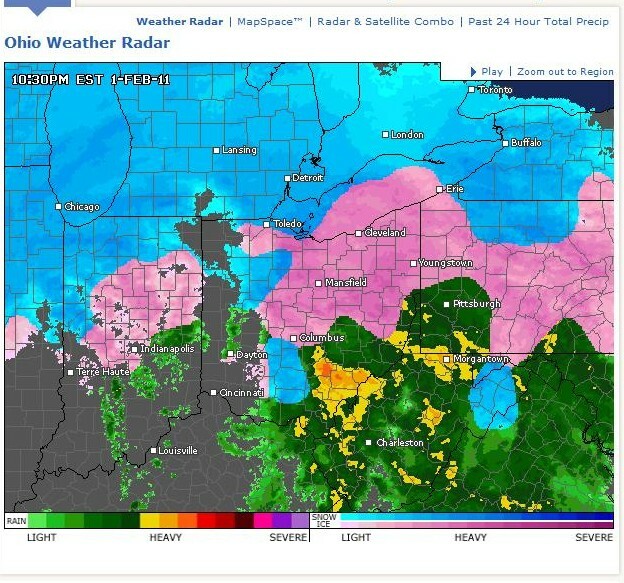 We're getting mostly rain, with most of the freezing rain and snow coming down North of here. The really crappy part of the storm is scooting up the river valley and circling around Pittsburg before swirling south into Maryland.